I have decided to begin selling at local craft fairs, the decision both terrifies and thrills me. After the initial swell of excitement I began to panic, to toss and turn, I need to expand my range, create new stock, my mind went blank, or rather was paralysed in overdrive. Too many decisions. And then today I took the dogs out, I ran with them, the sun shone and the ideas began to form a line, they ordered themselves and the future was clear. I felt myself smile wide and long. There is still a long way to go but now I have a list. Oh good - I think we all need a new challenge every once in a while (especially those of us whose main job is home and children). And feeling terrified just shows it's something worth trying! Your embroidery made me smile. Good luck with this new venture - hope you do well! There is nothing like a good walk, especially with dogs, to clear the head and free the mind to come to conclusions and solutions that seemed elusive when cooped up inside. I do love your use of linen and florals - is that another Liberty? I love the camaraderie at craft fairs and the first sale of the day is such a boost. It's a great great feeling. Looking forward to seeing more of your stock! Best of luck with the craft fairs! Good luck with the new venture! How wrong can you go with linen and Liberty? Love the little scraps of print. Lists are good, and fairs are fun - you will have a ball! I adore what you do! Good luck with your new venture. You have such a charming style . . . I'm sure people other than your blog-readers will find it beguiling, too. Fun and exciting! Have fun with with it and don't worry. You'll find out what sells when you begin and then you're sailing. I totally agree with skybluepinkish!!! I'm so happy for you... I only wish I could come see your booth!!! You'll be wonderful WONDERFUL!!!!!! Enjoy the fairs. I've had stalls for a couple of years now and still get butterflies and wobbly legs before each one (definately excitement more than nerves though). I sell mostly via the internet but I do relish the face-face contact and the opportunity to chat that I get from fairs ... having someone gushing compliments over something that I've made pretty much makes my week. 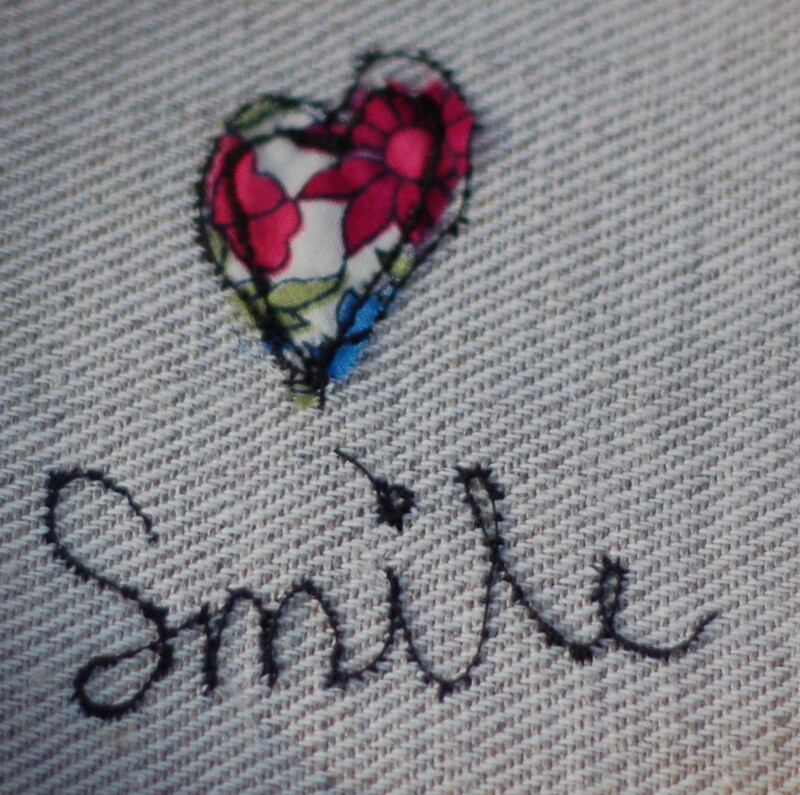 Smile is exactly what you should be doing when you do a fair. Best of luck your work is lovely. What a great decision, it will be lovely to see people, chat and enjoy watching people admire your work. The ideas will flow!